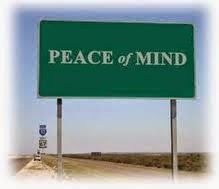 First, if you have not read my “Consumer peace of mind - Part 1” blog from the other day please click HERE. Well now. I asked in part 1 “what if there was an alternative?” to overpriced extended warranties for your household consumer electronics. They only last for a limited time period. It’s a gamble for sure forking over all that money in one lump sum for let’s say a 2 year (really 1 year after the manufacturer warranty expires) plan. And it only covers one item. You must pay for a whole new plan for another device. That’s not a lot of “consumer peace of mind” is it? When I shared part 1 on Facebook, a friend commented “I am hoping it’s a $100 10 yr plan to cover every electronic purchase I make.” Close, but “more better”! How would you feel about having ALL of your household consumer electronics that you will be purchasing in the future; covered by just one simple plan? How would you feel about having your ALL of your household consumer electronics that you’ve purchased within the last four years also covered by the same plan? How would you feel about having ALL of your household consumer electronics covered with an unlimited time limit? How would you feel about only paying one low monthly fee for this extended warranty on ALL of your household consumer electronics? Who wouldn’t want a deal like that? I had a friend of mine call me a couple of weeks ago and started telling about a plan that does everything those four questions ask; and much more. 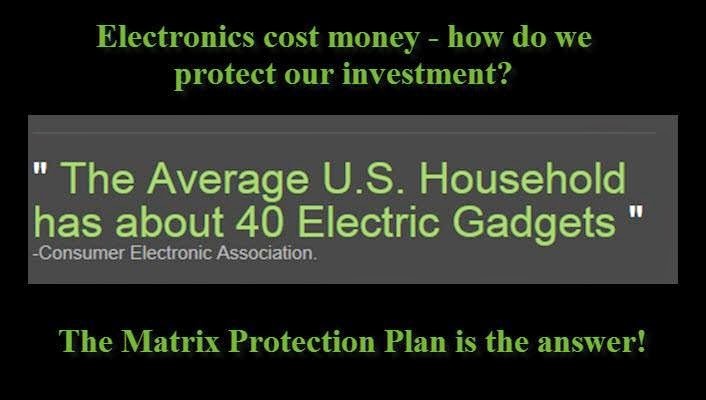 Let me introduce you to the Matrix Electronics Protection Plan by My Warranty Rewards. The Matrix Electronics Protection Plan is the most comprehensive electronics service plan in the industry. The plan covers ALL of your eligible electronics, such as TVs, computers, phones, tablets, blenders, gaming consoles and thousands of other items for just one low fixed monthly fee, with no long-term contract! 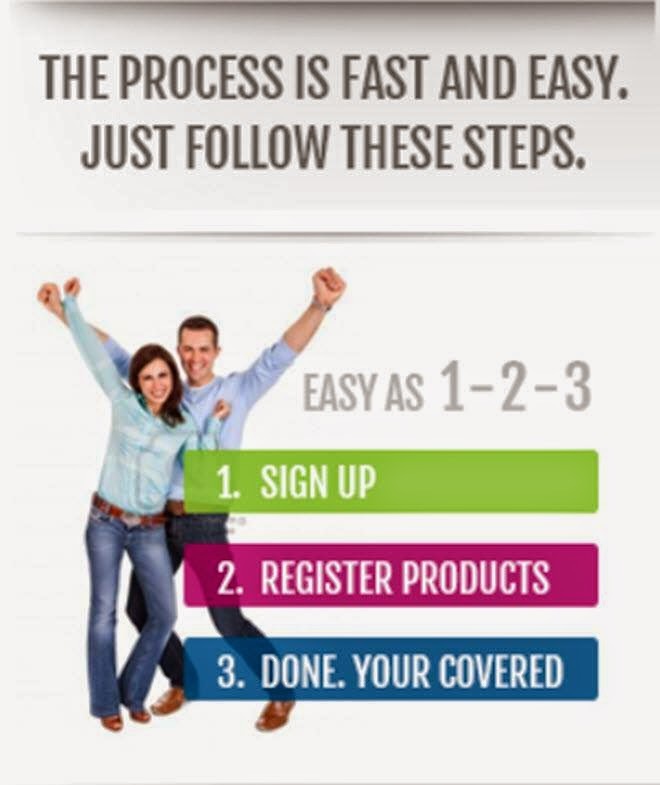 Thousands of eligible products can be covered under one plan. Our plan covers all new and factory-refurbished electronics. Any new electronics may be added to the plan at NO ADDITIONAL COST. Sign-up, registration and tracking are all done easily online. All for just $29.97 per month ...the activation fee is WAIVED! Did you see that? Only $29.97 per month (plus tax)!!! Now as you’ve probably guessed I’m a My Warranty Rewards Independent Agent. I’m a huge believer in sharing things that are great for people and make sense. This to me makes a whole lot of sense. For me, as well as many others around the country, this is total “consumer peace of mind” for our home electronics. Why would someone not want revolutionary protection, superior coverage and hassle - free customer service? So here I am sharing with you something great that someone shared with me like a great movie or restaurant. Click HERE for a comparison chart of devices you could purchase at your local big box electronics store. The Matrix Protection Plan is a huge savings. Especially when you average the cost per month of each device that you register on the plan. For 40 devices it’s only .75 cents per month for each device. So if you would like more info on Matrix Electronics Protection Plan please feel free to contact me. And make sure to ask how you can save an additional $5.00 per month off of the monthly fee. Consumer peace of mind is inexpensive and is also very easy. And you won’t even break a sweat!